I make my own pickles. I like knowing what goes into them and I love to experiment with different spices/flavors. My favorite pickled veggies are carrots and zucchini. Yum! onions and garlic are crazy good, too! 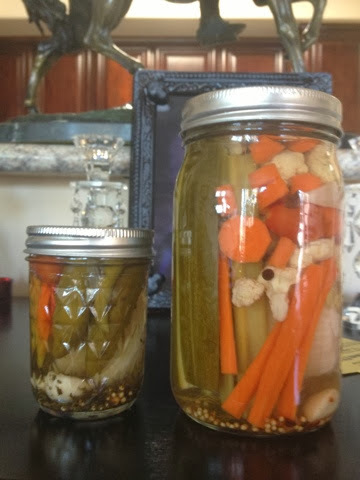 I will hopefully be posting a "How to" or "DIY with Dani" on making pickles in the next week or two. It is a really long almost two day process but the outcome is amazing and delicious! 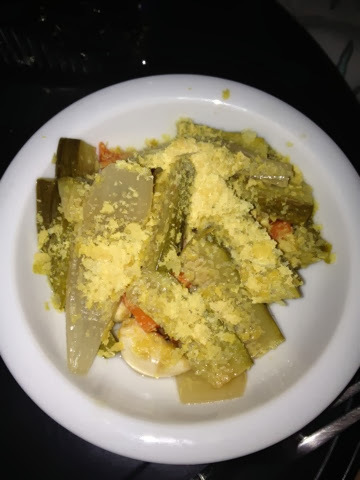 I love mixing different foods/flavors together so my new way of enjoying pickles is by adding nutritional yeast. It sounds weird but it's amazing!